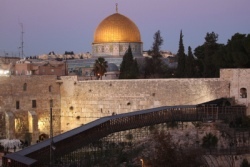 israel today | Israel News | Muslims stone Christians on Temple Mount – israel today | Israel News. A mob of some 50 Palestinian Muslims stoned a group of Christian tourists atop Jerusalem’s Temple Mount on Sunday morning. Three of the Israeli police officers who acted to protect the Christian group were wounded by the stone-throwers.